The American Red Cross will also have a drive-by drop-off location Tuesday at the Red Cross office, 143 E. Main Street in Galesburg, Illinois. To follow the American Red Cross of the Quad Cities Area on Facebook – click here. 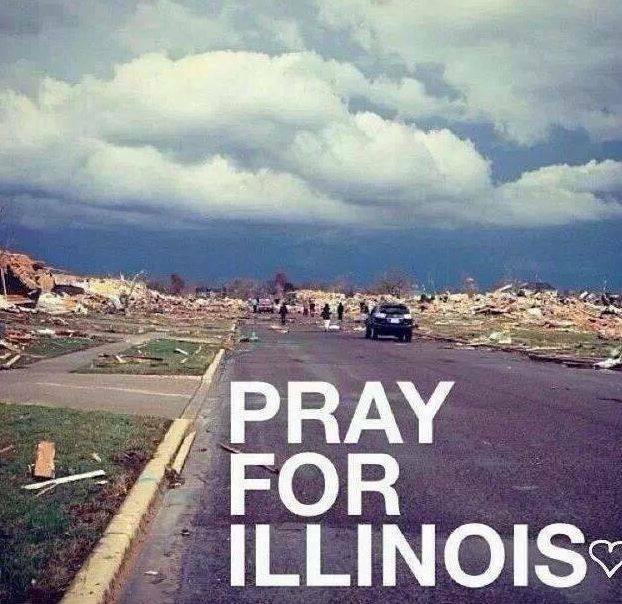 A Facebook page called Washington IL Tornado Recovery was created to survey the damage in the city. The profile’s audience was over 113,000 by 9 p.m. on Sunday, November 17, 2013. Information on how to help is also being shared. From the page, another Facebook profile has been launched to help community members be reunited with lost photos and items. Click here to see that page. Illinois Gov. Pat Quinn declared seven counties as disaster areas. The Illinois National Guard & others have come to their aid, but much of the work is still ahead of them so anything that you can do to help will surely be greatly appreciated. Our thoughts and prayers are with all those affected by this disaster … wishing for a speedy recovery. This entry was posted in Disaster Relier Efforts, Emergency Backup Power and tagged Disaster Relief Efforts, Emergency Backup Power, Illinois, Indiana, Midwest, Missouri, Power Outages by Eric Lee Castillo. Bookmark the permalink.